petition: The time is right for first public Statue of Britain's first out modern lesbian, Anne Lister of Halifax. The time is right for first public Statue of Britain's first out modern lesbian, Anne Lister of Halifax. Did you know that only 3% of Britain's public sculptures are to named women, and none at all are to out and named Lesbians? The time is right, indeed, long over due, for a public statue of Anne Lister, the first Modern British Lesbian! 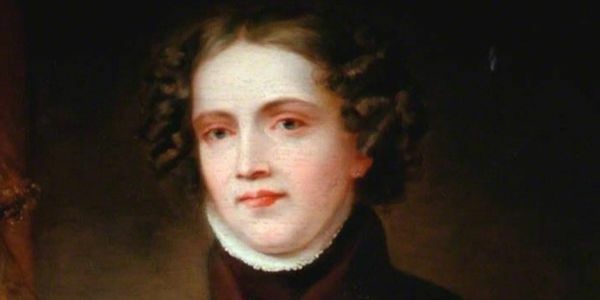 Anne Lister (1791 – 1840) was exceptional in everything she did. A highly educated scholar at a time when women were not allowed to attend universities, a polyglot, intrepid traveller, hill walker, mountaineer, industrialist, entrepreneur, phenomenal diarist and openly a lover of women, all this in the Regency and early Victorian eras. Visitors to her home at Shibden Hall will find out about her life, but there is no public recognition or tribute to this extraordinary woman in her home town of Halifax, West Yorkshire or anywhere else in the UK. Bronze sculptor (and lesbian history tutor) Ama Menec has sent a proposal to Calderdale Council for a dynamic life sized statue of Anne Lister for Shibden Hall which she intends to make as a tribute to this remarkable lesbian, but Calderdale Council need persuading that there is a public need for such a sculpture. Ama believes she can secure funding to make and to install this public sculpture at little or no costs to Calderdale Council. Please sign this petition and share it with friends if you would like to see a public statue, the first of its kind in the UK, commissioned by Calderdale Council of the remarkable Anne Lister. Thank you. Feel free to comment why this is important to you as well, thanks. You can find out more about Anne Lister on https://www.facebook.com/apublicstatueofannelister and please do invite your friends to 'like' this page too, thank you. The range of countries people have signed from is amazing, from Burundi to Antarctica. The bravery of those signing from countries with repressive regimes has been truly inspiring & humbling, from Uganda to Ukraine & Iran to Russia. What this diversity of voices & locations shows is globally there is a real need for this statue. All we need is for Calderdale Council to do the brave thing & accept this proposal for Shibden Hall, & have a permanent public honouring of this truly remarkable woman. Massive congratulations to Oldham and to Manchester for the unveiling of 2 public statues today of important Suffragettes, those of Annie Kenny and Emmeline Pankhurst. which you have waited a shocking 100 years for! We've waited 200 years for a statue to the first openly lesbian woman in Britain, that of Anne Lister, and I don't intend for us to wait any longer. Please share this petition, and leave a comment as to why this matters to you! Thank you! Diva Magazine have got behind my petition by publishing a short article about it in the Views section: http://www.divamag.co.uk/Diva-Magazine/ . I hope this will get the word out there leading to more signatures and more of those crucial comments. Thanks Diva Magazine, we've just one week to go to push the signatures past the 10,000 mark! Please keep sharing and if you haven't left a comment yet, it isn't too late to do so. Thanks! Huge thanks to everyone who signed this petition for a Public Statue of Anne Lister for Halifax. I have sent a copy to Claire Slattery Cultural Services Manager for Calderdale Council who oversees Shibden Hall. Your comments in particular have been deeply moving & have shouted loudly as to why this matters to you, your community & to your friends. The bravery of the people who have signed from countries with repressive regimes have left me speechless with admiration. I will post updates ASAP.